Is the Mitsubishi Outlander Right for You? You Are Here: Home > Is the Mitsubishi Outlander Right for You? 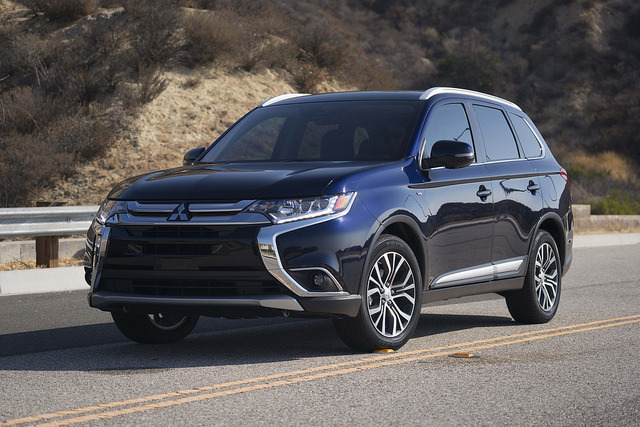 The Mitsubishi Outlander has always been a favorite in the SUV market thanks to its low price, generous features, and standard third-row seating. The 2016 model earned 4.5 stars from Edmunds.com and an 8.7 out of 10 from Kelley Blue Book, both of which were impressed with the Outlander’s value. The 2016 Outlander is priced even lower than the 2015 model while adding available active safety features, an updated navigation system, and a more refined cabin with better noise cancellation. If you’re looking for an SUV with off-road capabilities and tons of features that is also affordable for a wide range of customers, the Outlander is right for you. It’s also a good choice if you need third-row seating and don’t want to go higher than the base trim level to get it. The Outlander not only makes a wide range of features available at ever trim, it also has standard third-row seating, where many other vehicles only offer it at higher trim levels. The Outlander also comes with a 10-year warranty KBB calls “fantastic” and a towing capacity of 3,500 pounds. The Outlander’s 4-cylinder engine has been revised and paired with a new continuously variable transmission, which together offer an efficient 31 mpg on the highway. KBB also noted that the 2016 Outlander offers various active safety features at a fantastic price. So if you’re on a budget and looking for a capable, functional SUV, the Outlander is a smart choice. Take it for a test drive today at Carriage Mitsubishi and see for yourself!